Check the over all dimension of switchboard, size of busbars, cables and earthing conductors and location of feeder entry point. 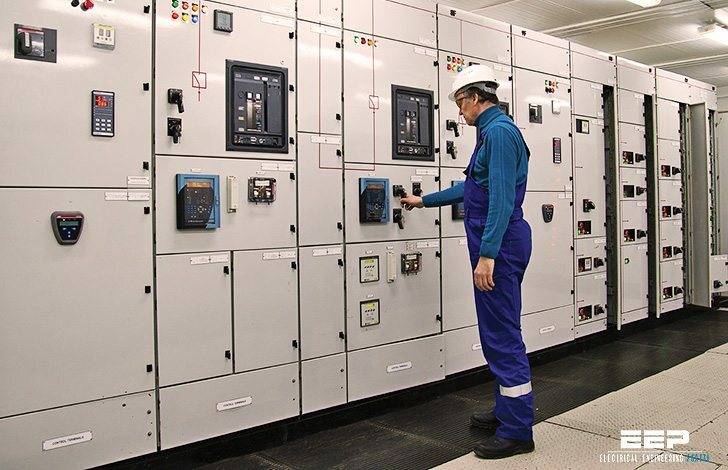 Check and verify the brand, model, and circuit identification of components installed such as breakers, current transformers, fuses, ammeters, voltmeters, power meters and protection relays etc. The customer comments will be recorded in “QC-03 Customer Inspection“. Carry out 500V Megger test for phase to earth, neutral to earth, phase to neutral and phase to phase to measure the insulation resistance with all breakers in ‘ON’ positions. All reading will be recorded in “QC-06 Quality Assurance Test Report – Megger”. Refer Appendix A – Form 06. Refer Appendix B – Test Circuit of Insulation Test. Carry out 500V Megger test between each stressed phase and all other phase connected to exposed conductive parts with all breakers in ‘ON’ positions. Apply 2.5kV AC voltage between each stressed phase and all other phase connected to exposed conductive parts for 60 seconds and measure the leakage current. To repeat the test mentioned – All reading will be recorded in “QC-06 Quality Assurance Test Report – Megger”. Refer Appendix A – Form 06. 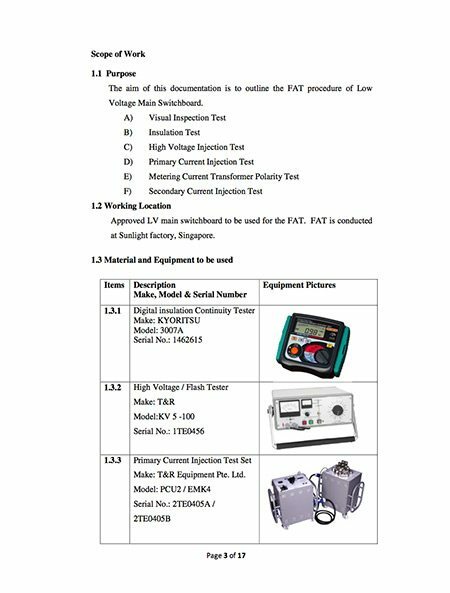 Refer Appendix B – Test Circuit of High Voltage Injection Test. Many engineers ask questions on this forum, which are never answered. Is there any unwritten rule or law that questions be never replied? Hi there, just a quick question. For the high voltage injection test, after the 2.5kV AC voltage for 60 seconds is applied and leakage current measured, is there a maximum leakage current limit to comply with? How much current leakage would be deemed unsafe?